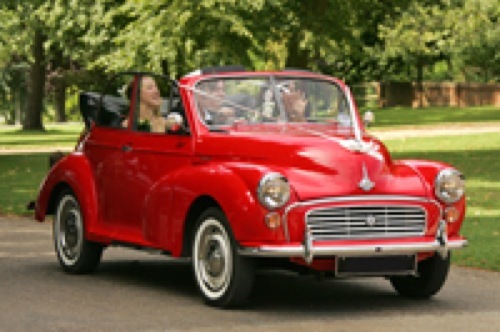 Imagine the fun and nostalgia summoned up when you and your partner arrive at your civil partnership in a fantastic open-top morris minor. Minors 4 you was established in 1985. 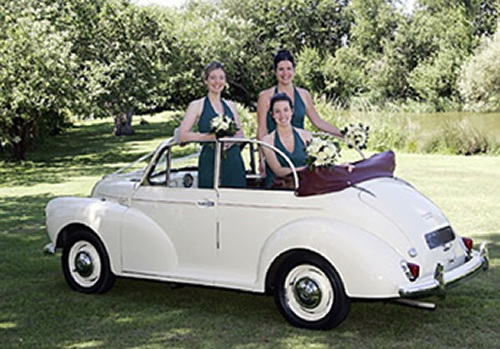 We have several Morris Minors (all with experienced chauffeurs - including one lady!) 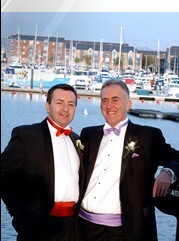 for you to hire for your civil partnership within a 50 mile radius of Oxford. 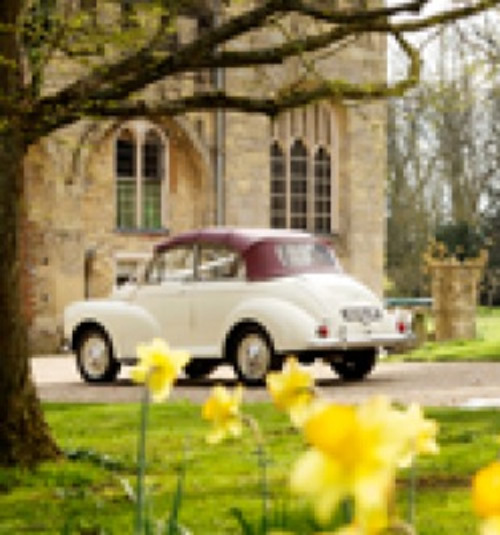 Private viewings of the cars are encouraged (by prior appointment). 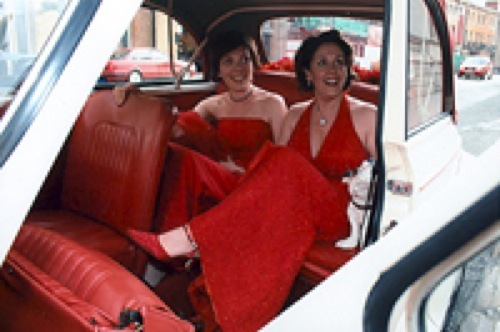 Our cars have a 'fold-up' front passenger seat for increased spaciousness. 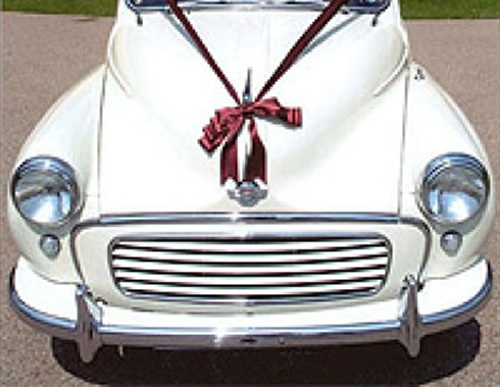 We can co-ordinate ribbon decoration to complement your colour theme if required, and as that final little touch, our drivers wear matching bow-ties our trademark! 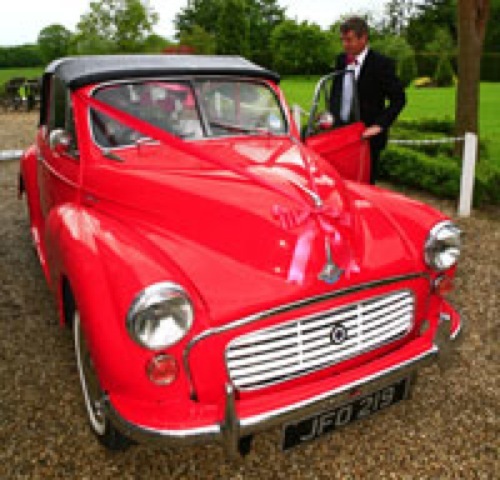 We're also happy to quote for your anniversary, birthday or romantic celebration journey or if you wish to arrive at an Ascot, Henley or Blenheim event with panache.